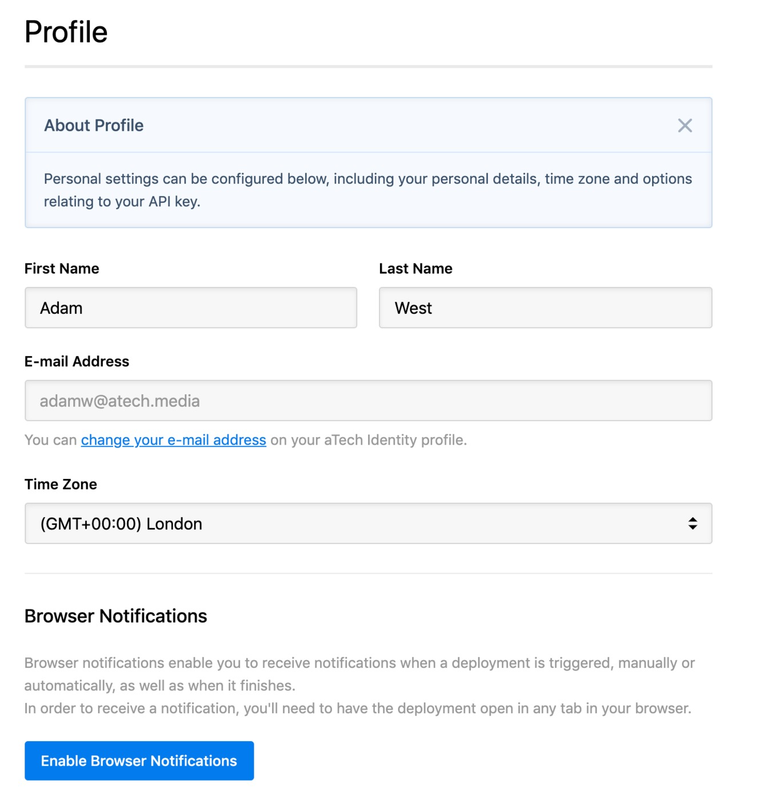 As an individual user in your DeployHQ account you can set up browser notifications for a running deployment in DeployHQ, to tell you when the deployment starts, then when it has completed. To enable browser notifications, head to the Settings tab at the top of the screen, then to Profile on the left hand side under Personal. At the bottom of the page, click Enable Browser Notifications, then Allow in the popup that appears from your browser. In order to receive a notification, you'll need to have the deployment open in any tab in your browser.